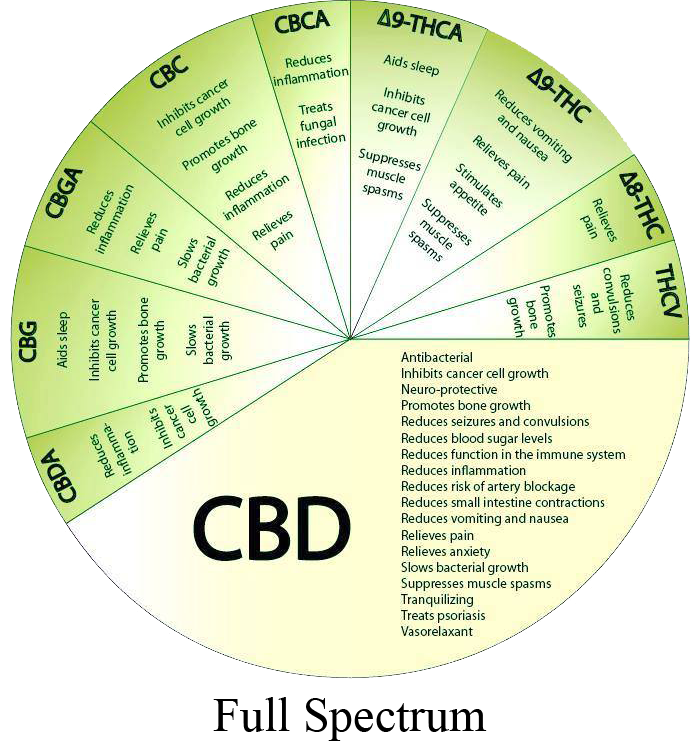 There 3 main types of CBD Oil. Full Spectrum, Broad Spectrum, and Isolates (Powder Form or made from the Powder). 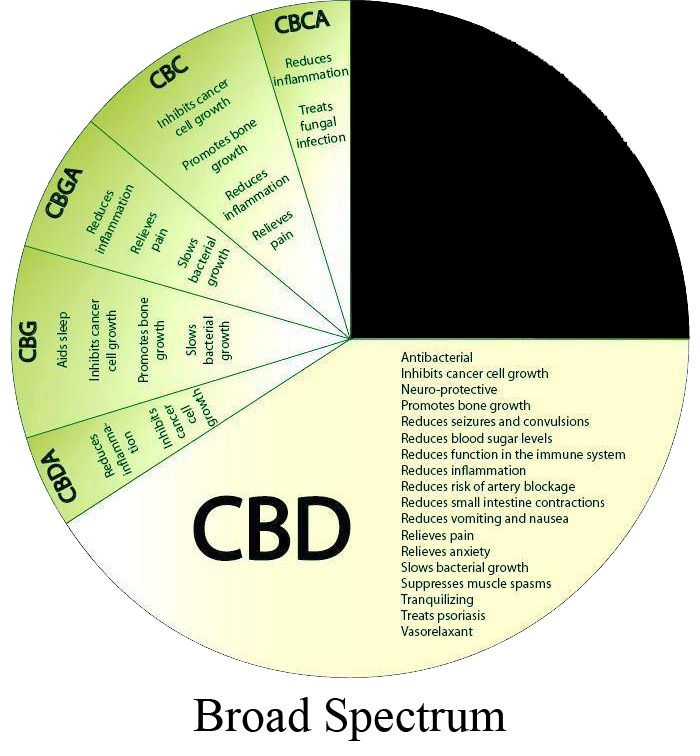 Full Spectrum will contain .3% or less of THC. Isolates are THC Free. 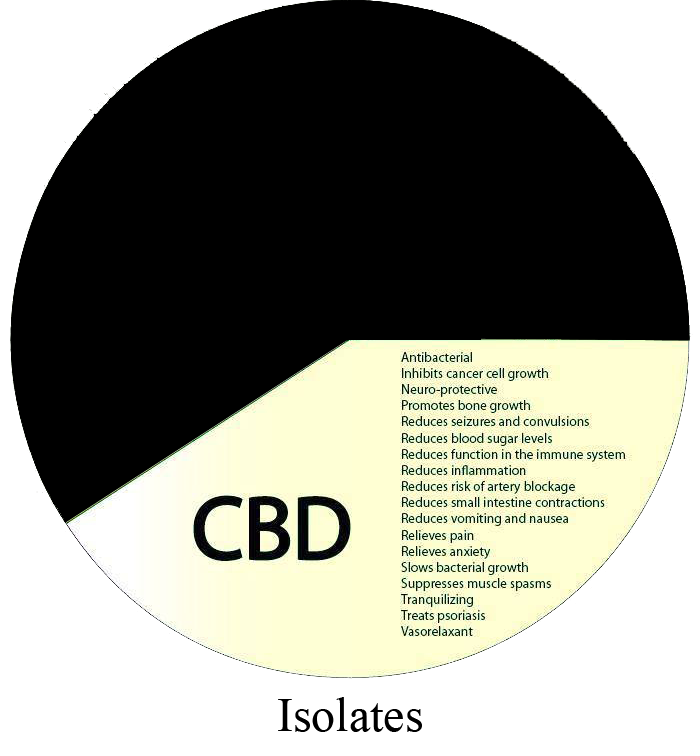 Broad Spectrum contains more POSSIBLE Benefits than the Isolates. Below are 3 pie charts that show the POSSIBLE Benefits of each. The POSSIBLE Benefits are based on Case Studies. We DO NOT guarantee any results or promises. You should always check with your doctor on any new items you take.